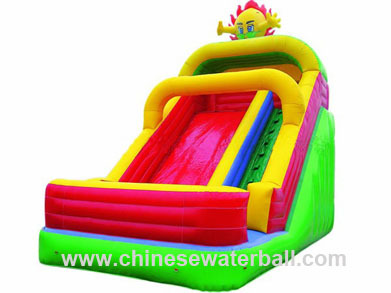 Inflatable slides,a game that you need to climb to the top of the equipment first, and then slide down through the tunnel, cool down with inflatable water slide, speed down drop, and slide your way down the inflated slip and slide, handing with a splash at the watery oasis. What a great fun! CE certification Inflatable slide and castle.